Big Head Todd is a Monster of Rock! If you don’t know who Big Head Todd and the Monsters are, then you need to get to know them. I was not familiar with their music until last year. Now I have all of their music except the new CD of Robert Johnson covers. Big Head Todd was formed in 1986 released their first studio album in 1989 so they have stood the test of time. What I think Todd Mohr (The Lead Singer/Lead Guitar Player/ Song Writer) has accomplished is the perfect melding of alternative rock with blues rock. Simply put, The man can play the blues. The set they performed at the House of Blues was appropriately Blues infused! I think Todd had the blues in his heart and mind because he had just released “Big Head Todd Blues Club – 100 Years of Robert Johnson” in 2011 and his buddy, the great Hubert Summlin, had just died. Hubert was the guitar player for Howlin’ Wolf. Keith Richards was putting together a surprise birthday party for Hubert at the Apollo Theater in New York when Hubert passed away. The birthday party became a tribute concert. Todd was invited by Keith Richards and Eric Clapton to participate. That concert occurred in New York on February 24th right before I saw this concert on March 1st, 2012. I think the blues were on his mind. I got invited to the show by a friend of mine who is one of their biggest fans and he is also the guy that turned me on to them as well. I had heard a few of their better known songs like “Bittersweet”, but I had never sat down and listened to an entire recording of theirs until Wojo came along. Thanks Wojo where ever you are! My friend Wojo is also a Founders Club member of The House of Blues. What that means is that we had a first class experience at the show. We had access to a private entrance to the club, a private bar, reserved seats, and table service for cocktails. That’s why some of the pictures are so good. I was sitting right next to the mixing board. There was no opening act. Todd and the Monsters walked on stage at exactly 9:00pm and promptly blew the doors of the building. The sound quality was excellent. The musicianship was even better. Todd wields a major Ax! (It’s no wonder that Keith Richards and Eric Clapton invited him to participate in the Summlin tribute.) They played all of their hits as well as a good bit of material from their newer CD’s. The show lasted 2 hours but it went by way too fast. Big Head Todd and the Monsters are on tour right now. Don’t you dare miss them. You will have a first class rock experience even if you’re not a Founders Club member. Buy their music too. You will not be disappointed. I for one am going to get the Robert Johnson CD as soon as possible. Also, check out their website: http://www.bigheadtodd.com – There is great video of the Hubert Summlin tribute as well as all of the music from this amazing band. Sorry for the long hiatus form my blog. It couldn’t be helped. I was traveling a lot in the first 3 months of this year and I have really been working way too much. My focus is back on music and my blog now. I have several other blogs that I need to post, so expect much higher activity in the near future. Happy Easter and Long Live The Blues! I started my blog one year ago today. My first blog was about “The Queen of Soul”, Aretha Franklin. At first my site only got about 10 hits per month. A year later my site is getting 1,000+ hits per month. Still chump change in the world of blogosphere, but a great improvement too! One of my goals was to blog every week. I almost made that goal. Sometimes life just gets too busy and these blogs take a lot of time to produce. I am satisfied with my progress and I’d like to say a big thank you to all who read my blog and to all who continue to encourage my hobby. Santa Claus was very good to me and I want to share the wealth. This LP was a gift from my good friend Jim (a.k.a. “Chip”). What a fantastic blues record this is too. If you aren’t familiar with the name and music of Walter Marion Jacobs, “Little Walter” allow me to give you some background. Little Walter is considered to be one of the greatest blues harmonica players ever. He taught Mick Jagger how to play the harmonica. Can you imagine “Midnight Rambler” without Mick’s great harmonica playing? Keith Richards says that it’s a shame that Mick won’t “sing like he plays the harmonica”. Walter was born May 1, 1930 in Marksville , Louisiana and died in Chicago, Illinois on February 15, 1968. Little Walter brought the harmonica into the modern age. He was the first person to play the harmonica through a small hand help microphone. This created a “booming new sound for the harp – fat, wide, ineffably haunting.” He also brought a new virtuosity to the harp that had never been done before. He is also famous because he was the harp player in Muddy Waters band until he went his own way in 1952. In 1952 he released his first single called “Juke”. It went straight to number 1 on the Billboard R&B chart where it stayed for 8 weeks. Not even Muddy Waters did that in his prime. Between 1952 and 1958 Little Walter had 14 top ten hits on the R&B charts. But with the advent of Rock and Roll his fame faded in the 60’s. This LP is the 1968 reissue of the original Chess Record of 1958. Many of these songs never made the charts but they will be instantly recognizable to many music lovers. Where volume one emphasized his harmonica playing, Volume two features his vocal abilities. Not to say there isn’t a lot of fantastic harmonica playing on this disc, because there is! So here we go with side 1. This song was recorded in 1954 and it was written by Willie Dixon. It features Robert Jr. Lockwood and David Meyers on Guitar, Willie Dixon on Bass, Fred Below on Drums and Little Walter on Vocal and Harmonica. It was originally released as Checker single 805. This song is now a standard of blues bands everywhere. There is a very well know cover of this song by “The Paul Butterfield Blues Band”. This song was recorded in 1960. It was originally released as Checker single 968. It features Otis Spann on Piano, Freddie Robinson and Luther Tucker on Guitar, Wilie Dixon on Bass, Fred Below on Drums. This cut was not on the original Chess record. It was added to this 1968 reissue. Until this LP had been released, this song had never been issued on a U.S. record. It is not only a rarity, it is a great example of Little Walters amazing talent as a harmonica player. This song was also written by Willie Dixon. It was recorded in 1953 and released as Checker single 780. It features Louis and David Meyers on Guitar, and Fred Below on drums. This song was written by McKinley Morganfield and recorded in 1958. It features Otis Spann on piano, Muddy Waters and Luther Tucker on Guitar, Willie Dixon on bass and George Hunter on drums. Can yo believe you have Muddy, Willie and Walter all on one song? It would be like if you had a recording of Beethoven, Bach and Brahms playing together. All I can say is WOW!! This song has been covered by everyone that is anyone in blues and in rock. This song was written and performed by Little Walter. It was recorded in 1952. It features Louis and David Meyers on guitar and Fred Below on Drums. This song was previously unreleased in the U.S. prior to this LP. This boogie has fierce driving style to it. This song was written by Willie Dixon and recorded in 1959. It features Robert Jr. Lockwood and Luther Tucker on guitar, Willie Dixon on bass, and Fred Below on Drums. This has become a staple of blues music and has been widely covered by many musicians. It was originally released as Checker single 919. This song was written and performed by Little Walter. It features Louis and David Meyers on guitar, and Fred Below on drums. It was recorded in 1953 and originally released on Checker single number 786. This is a stunning instrumental that is every bit as good as anything else the man ever did. This song was written by Willie Dixon and recorded in 1954. It features Willie Dixon on Bass, Louis Myers and Robert Jr. Lockwood on guitar, with Fred Below on drums. It was originally released as Checker single 793. I just love this song. It has been covered by many many musicians but I really like this early version. This song was recorded in 1955 and released as Checker single 867. It features Robert Jr. Lockwood and Luther Tucker on guitar, Willie Dixon on Bass, and Fred Below on drums. The LP ends with another Little Walter original. This song features the same line up that recorded Boom Boom. it was recorded in 1955 and released as Checker single 833. I hope you have enjoyed this great Chicago blues music. Every song was recorded at Chess records in Chicago,Illinois. A little blues can warm up a cold winter night and makes for great listening on New Years Eve. Happy New Year and I look forward to writing many more blogs in 2012. Doyle Bramhall. Song writer, musician. 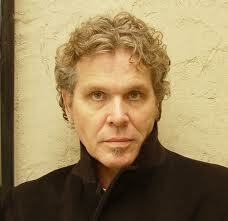 The Great Doyle Bramhall died in his sleep at his home in Alpine, Texas at the young age of 62. Age 62 sounds younger to me every year I’m lucky enough to get older. I wanted to write about him because it is a shame that a lot of people who read this will say “Who was Doyle Bramhall?” This guy was a great blues musician. He grew up with Jimmy and Stevie Ray Vaughn. He was a drummer in several early bands that Jimmy played in like The Chessmen and The Nightcrawlers. Both the Vaughn brothers were in the Nightcrawlers. During this time period Doyle wrote the song “Dirty Pool” that appeared on Stevie Ray Vaughn’s first album “Texas Flood”. He was one of the movers and shakers behind the early Austin music scene. He was a musician’s musician. Other songs he wrote or co-wrote include: Life by the Drop, I’d Rather be Blind, Crippled and Crazy, Marry You, I Wanna Be. There are many more songs you would recognize but didn’t know that Doyle wrote them. Don’t confuse Doyle, Sr. with his son, Doyle Bramhall II, who is also a great musician. Doyle II plays guitar for The Arc Angels. He has play guitar on many famous albums for people like Gregg Allman and Eric Clapton. Here are just a few songs of Doyle Sr.’s that I enjoy. I hope you enjoy them too. It reminds me this Thanksgiving weekend that every day is a gift. God bless Doyle Bramhall and God bless his family and friends. And by the way, God bless all of you too. Happy Thanksgiving. This song is written and performed by Doyle Bramhall, Sr. This song was written by another famous drummer who also sings: Buddy Miles. For the Jimi Hendrix fans out there this song may sound familar. It appeared on Jimi Hendrix’s live album “Band of Gypsys”. There’s not a blues man alive that wouldn’t have wanted to have written this song! This is pure Texas blues. This song appeared on Stevie Ray Vaughn’s first album “Texas Flood”. A song like this could only be written by someone who had hung out in every “Kinfe and Gun club” in Texas. This has always been one of my favorite SRV songs. Once again, any song writter would be proud to have written this little ditty. Am I right? This is one of Doyle’s best known songs. The problem is no one knows he wrote it! Not so long ago, It was ’til the end. We played outside in the pouring rain. On our way up the road we stated over again. You’re livin’ a dream as thought you’re on top. My mind is achin’ and Lord it won’t stop. That’s how it’s happened livin’ life by the drop. Talikin’ bout good thangs and singin’ the blues. You went your way and I stayed behind. We both knew it was just a matter of time. Livin’ a dream as though you’re on top. That’s how it happens livin’ life by the drop. No waste of time. We’re alive today. Turnin’ up the past, there’s no easier way. Time’s been between us, a means to an end. God it’s good to be here, Walkin’ together my Friend. That’s how it happened, livin’ life by the drop. Album cover of "The Cream of Country"
One of the most famous record labels in History "Sun Records"
So his story is this: My friend grew up in Wichita, Kansas in the 1950’s. Not much went on in Wichita in the ’50s and ’60’s. Not much goes on there today, come to think about it. But when my friend was a junior in College, Jerry Lee Lewis was going to come through town and play a concert. My friend didn’t even really know who Jerry Lee Lewis was. One afternoon, a flat bed truck came through the campus grounds with a bull horn announcing a rock and roll show and where to get tickets. As a crowd began to gather, the promoters just started throwing copies of Jerry Lee Lewis albums out into the crowd. My friend is a tall gentleman now, and he was tall back then too. He easily caught one of the records. So here it is “The Golden Cream of Country” by Jerry Lee Lewis. This record was released in 1969. 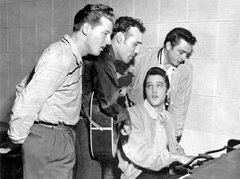 At sun records in the 1950’s Rock, Country, Blues, and Folk music collided all at the same time. The results changed music forever. Sam Phillips was the baby Doctor that assisted in it birth. This record is a great example of what was going on at the time. The tittle states it’s a “Country” record, but I would guess that when you listen to some of the songs you may think differently. A country song but with a honky tonk Rockabilly piano sound going on too. Hmmm…. This is such a famous song and it has been recorded by “everyone and their dog!” I bet there are a lot of people that would be stunned to know that it was written by Hank Williams. Here we have a Louisiana man singing about the bayou. This is a great version and “The Killer” nails it! When I saw this song title I thought it was going to be the “Ramblin’ Rose” of Nat King Cole. This is a different song. By the way, this song doesn’t sound anything like country and western music to me. This is very Rhythm and Blues with it’s boogie beat and the style of singing it is really a very cool song. This could have just as easily been Ray Charles. Another song by Hank Williams. When you call an album “The Golden Cream of Country” , you have to include some Hank Williams, Right? There is a great new CD out that is a collection of unfinished songs of Hank Williams. The CD was put together by Bob Dylan and a who’s who of great singer/song writers. I haven’t heard it yet, but initial reviews have been very positive. Jerry Lee definitely gives this song the country effect. I especially like the gospel roll he uses in this arrangement. The piano solo in the break is classic Jerry Lee Lewis. This song is much more Rock n Roll than country. The lead guitar sound is definitely more Rock sounding than country. Once again The Killer tears up the piano with a great solo. I don’t know who the woman singer is. She is not credited on the album anywhere. It’s interesting how they purposefully sing slightly out of sync with each other. It gives an edge of emotion to this song it wouldn’t otherwise have. This song is the most country song on the LP. This is in the style of old country like Patsey Cline. This sounds more like Fats Domino than Willy Nelson. This is the only song on the LP that Jerry Lee Lewis wrote. This is straight ahead rock and roll. Not any country going on here. This is a great little rock and roll ditty. A twangy guitar and a singing style like Roger Miller. A very country sounding song, with a slight blues edge to it. How’s My Ex Treating You? Once again the walking blues bass appears. I like the fuzzy sound of the bass in this song. It’s a great tittle for a country song. It just sounds like rock and roll more than country. The Hammond Organ is not a typical C & W instrument ether. And with that, “The Golden Cream of Country” comes to an end. It’s Not the greatest album I ever heard. It is interesting that a record like this was released with a tittle like this in 1969. Consider what other albums were released in 1969. The Beatles released Abbey Road, the Rolling Stones released Let it Bleed, Led Zeppelin released Led Zeppelin I and II, The Who released “Tommy”. There were also classic albums released that year by bands like The Velvet Underground, King Crimson, Captain Beefheart, and Nick Drake. That is a very diverse group of musicians. Music was going in a million directions in 1969. 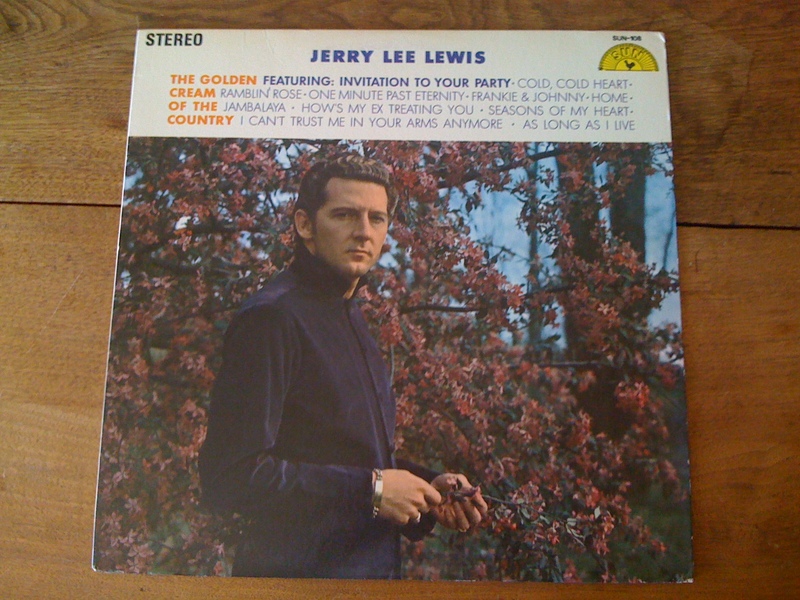 Maybe the competition for Jerry Lee was so intense he felt he had to call it a country album to sell any copies. So the point to me is that it is dumb to label music. Country? Rock? Jazz? Classical? Then you get really silly with labels like: Fusion, Alternative, Dubb step, Heavy Metal, Punk, Indie, etc… On and on it goes, till nobody know what it really means anymore. I don’t know. I could be wrong. What do you think? My wife went to several garage sales Friday while I was at work. When I got home she told me about one place she went that had a large number of LP records. “How many do you think they have?”, I asked. “I don’t know, but there were about 4 or 5 medium sized boxes’, she says. We change the subject and life goes on until the next morning. I wake up and the conversation from Friday is still rolling around in my brain. I have to see what records these people have in their garage. We decide to go back and see how many LP’s are left. I thought that was the end of it. Pam and I go have lunch. We are about to go home when the garage sale family calls me back. “Sure, I’ll be there in 20 minutes. We dr0ve back and loaded them in the SUV. I had no idea how many LP’s there were. When I got back home we counted them. 513! Basically, I bought them for 10 cents a piece. Unbelievable! There is much more to tell but suffice to let the picture speak for itself for now. 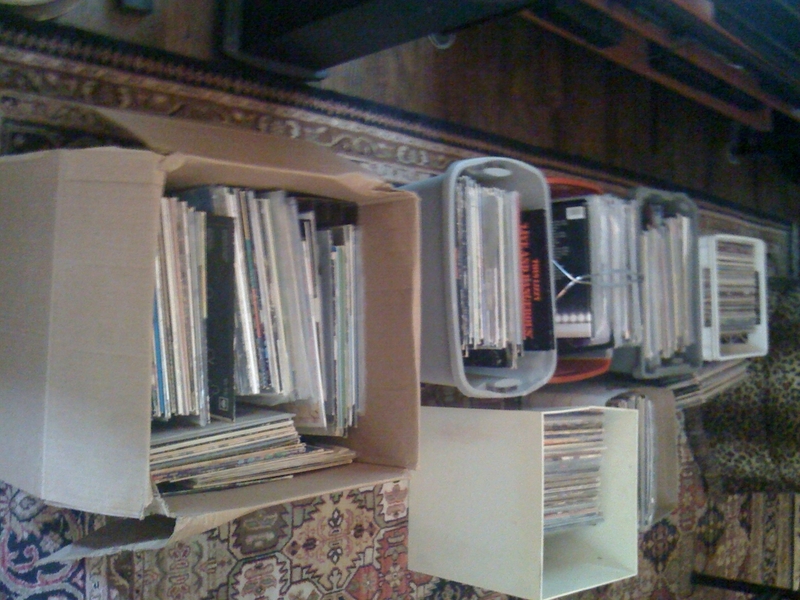 I rescued a lot of vinyl this weekend! Who The **** was The Siegel-Schwall Band!?!?!? Great Question. This album was loaned to me by my neighbor Ray. He has the most interesting taste in music. This was another little gem from his collection. I also really enjoyed researching this LP. The Band was made up of Corky Siegel on Harmonica and piano, Jim Schwall on Guitar, Rollow Radford on Bass (Rollo had played with Martha Reeves and the Vandrells and also Sun Ra) and Sheldon Ira Plotkin on drums and percussion. They signed their first record deal in 1965 with Vanguard Records and made four albums. During that time the Paul Butterfield Blues Band started touring the country and left an opening at Big John’s in Old Town. They were becoming more popular so they launched their first national tour in 1969. Although they were not as popular as Paul Butterfield or John Mayall they still played some large halls like Fillmore West. In the early seventies they signed with Wooden Nickle Records. A local Chicago label that was distributed by RCA. Next to the word “doorway” is a quote from Lao-Tzu: “He who knows where to stop in naming things has security. The Siegel-Schwall Band has another unique claim to fame. In 1968 they became the first blues band to play with a major symphony orchestra. They performed “Three Pieces for Blues Band and Symphony Orchestra” by William Russo. Russo was the genius behind the Stan Kenton Orchestra and was a major figure in Jazz music in America. Siegel-Schwall also recorded the composition for Deutsche Gramophone. Both the live performance and the LP were recorded with Seiji Ozawa and the Chicago Symphony Orchestra. Let’s hear the music and then we will wrap up the story of The Siegel-Schwall Band. 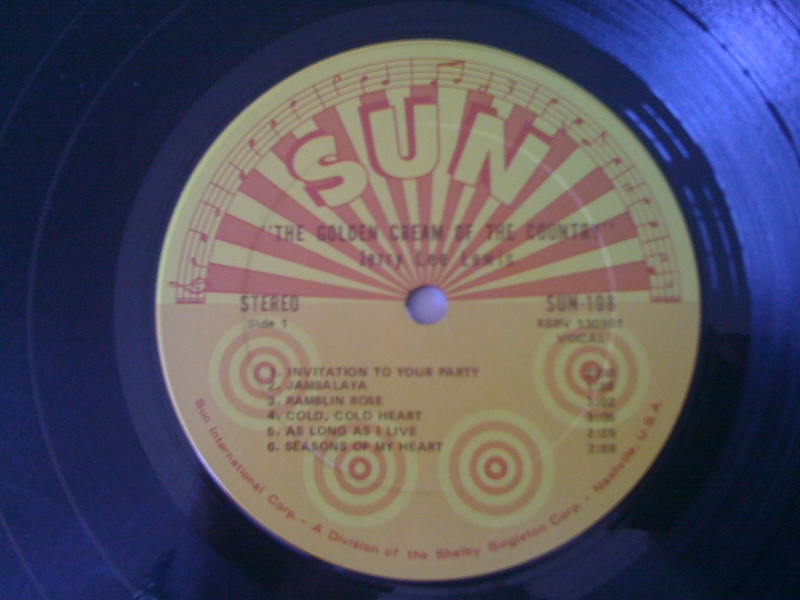 Wooden Nickle records were cute in that instead of “Side 1” and “Side 2” they had “Heads” and “Tails” soooo…. A great opening cut. Real Funky piano by Corky and great slide guitar from Jim Schwall. Funky almost Cajun feel Alla Little Feat, Neville Brothers. Great harp from Corky and once again nice guitar work from Jim. Plokin’s percussion is also a standout on this cut. Definitely Dixie Land Jazz. The brass section is referred to on the LP as John Payne on Soprano Sax and Friends of New Orleans: Philly, Fred & Dave Paquette. I like the reference to “a pick up Bar on Rush Street”. That is still the part of Chicago where the party is! I really like this song. It’s just another great boogie beat R&B song. I guess I’m a city boy that likes to sing songs about the Country too. Great Boogie Woogie Piano by Corky. What would a blues record be without at least one good drinkin’ song? I love this stuff! The harmonica and the acoustic guitar. Schwall is laying down that great blues guitar and great vocals while Siegel sing with the mouth harp. Priceless! The Title says it all! Great blues vocal by Radford. I love the whole band doing the echo chorus. Another Chicago reference in the lyrics to “Belmont Street”. The middle section is really kind of wild. Nostalgic blues. Great piano and vocal by Corky Siegel. It could have been written in any time. A great example how traditional, folk, blues, country are really branches of the same tree. The song starts out with a great blues harmonica solo by Siegel. A slow blues… Solid back beat laid down by Radford and Plotkin. “Bring my Whiskey babe, Bring me my sleepin’ pills. If the angels don’t want me babe… you know the devil will…” then the harmonica wails it’s lonesome cry. “If can’t light it at both ends honey, I’, goin’ to blow out the candle..” This song features an instrument called a Ratjug. Not sure what that is. The all female chorus features Jim Schwall’s wife Cherie Schwall. The band broke up the next year (1974). In 1987 they reunited and recorded a new album on Alligator records. They went on tour and followed that up with a live album in 1988. In 2005 they recorded another record on Alligator records called Flash Forward. It made the Billboard top 15 Blues record charts! Siegel later formed a group called Chamber Blues. The unusual band is made up of a string quartet, tabla, and harmonica/piano. Corky Siegel is still living in Chicago and plays a large roll in music education for Chicago public schools. What a great legacy to leave behind! So, who was the Siegel-Schwall Band? Just a very influential band from the south side of Chicago. One of the trailblazers of melding popular music with traditional symphonic music. All in all, not a bad legacy and a really enjoyable record to boot! Thanks Corky and Jim. Keep blazing the trail. What do you think? Let me hear from you. do you know the meaning of the title 953 West? If you think you have some insight let me know.